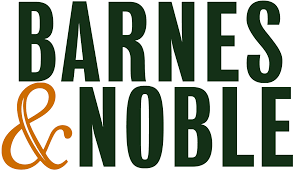 Barnes & Noble, Inc. (NYSE: BKS), the world’s largest retail bookseller, today announced The Last Romantics by Tara Conklin as the February 2019 selection for the Barnes & Noble Book Club, a monthly book club designed to bring readers in communities across the country together to discuss the most compelling books. Barnes & Noble will be selling a special Exclusive Book Club Edition of The Last Romantics as well as hosting a free Book Club night for customers to discuss the novel in stores across the country on Tuesday, March 5, at 7 PM local time. Customers can order the book and sign up for the Book Club in their local store or online at BN.com. Filled with unforgettable characters and storytelling, The Last Romantics is a universal and poignant story of growing up, growing apart, and coming back together—even when the odds appear impossible. The Barnes & Noble Book Club Exclusive Edition of The Last Romantics comes with an essay from the author, a deleted scene with author commentary, and a Reading Group Guide for discussion. Barnes & Noble will hold the next Book Club on Tuesday, March 5, at 7 PM, one month after the book goes on sale. Customers learn more about the book and the event, as well as get to the sign-up page, from: bn.com/bnbookclub. Previous Barnes & Noble Book Club selections include: The Female Persuasion by Meg Wolitzer, Clock Dance by Anne Tyler, An Absolutely Remarkable Thing by Hank Green, and The Only Woman in the Room by Marie Benedict. For more details, customers can ask one of their local Barnes & Noble booksellers or check the Barnes & Noble Store Locator for event information.